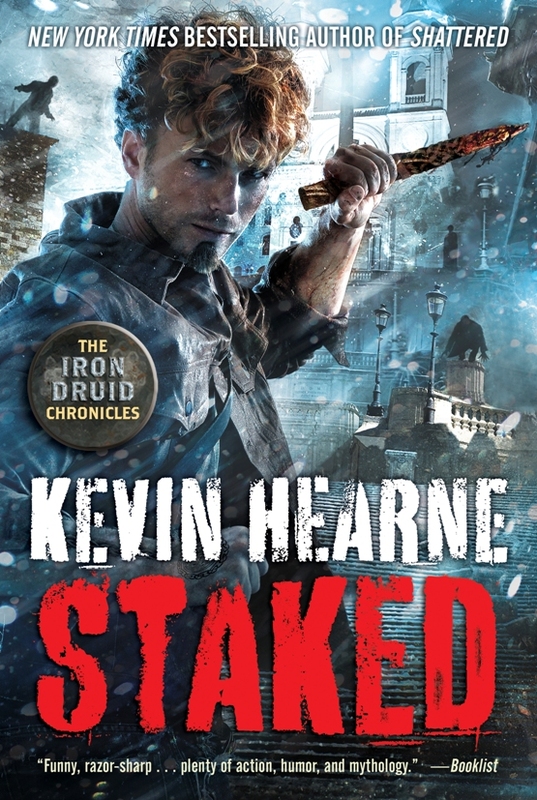 If you’re a fan of Kevin Hearne’s Iron Druid Chronicles (and we certainly are here at Roqoo Depot), here’s a look at the final cover for the eighth book in the series, Staked. Staked is the penultimate book in the series, so, after its release, only one more book to go before we say goodbye to Atticus. But we still have some time to enjoy our favorite iron druid. Staked isn’t due for release until January 26, 2016, and the final book is as yet untitled and has no release date. Author Kevin Hearne posted some updates. He’s currently working on a fantasy novel called A Plague of Giants. He also revealed the title for the next Iron Druid Chronicles book, Staked. IDC fans can also look forward to a new short story he has written called “A Prelude to War” which is set after the events of Shattered. Star Wars fans interested in checking out some non-Star Wars books by Star Wars authors might be interested in the Humble Sci-Fi Bundle which includes eBooks by Timothy Zahn, Barbara Hambly, William C. Dietz, Alan Dean Foster, Greg Bear and others.